When I go to the ocean, I love to hear the continual roaring sound of the waves crashing on the seashore. I wonder if this is just one of the ways that our God and Father rejoices over all that He made with His singing? I love this verse in the Bible because it is so jammed packed full of promises. God is mighty to save us! He rejoices over us with great joy! He will quiet us in His love! And He sings over us! All of these powerful promises are contained in just one verse. For time's sake, I only want to focus on the part of this promise that says that God sings over us with loud shouts of joy. The context of this verse is that there is a glorious intensity in God doing this over us. We make Him very, very happy! I wonder how many of us really grasp the joy that the Lord has because of us? I believe if this revelation became more of a reality to us, it would change how we see ourselves. Often when we look in a mirror, we only see the imperfections. When God looks at us, it is as if His heart skips a beat because of the joy we bring to Him. My prayer today is that we would have the blinders taken off of our eyes so that we might truly see ourselves in the light of God's love and begin to experience His joy over our lives. In Nehemiah 8:10, the Bible says that 'the joy of the Lord is our strength'. It is His joy over our lives that will give each one of us the power to live a full, free, joy-filled life. 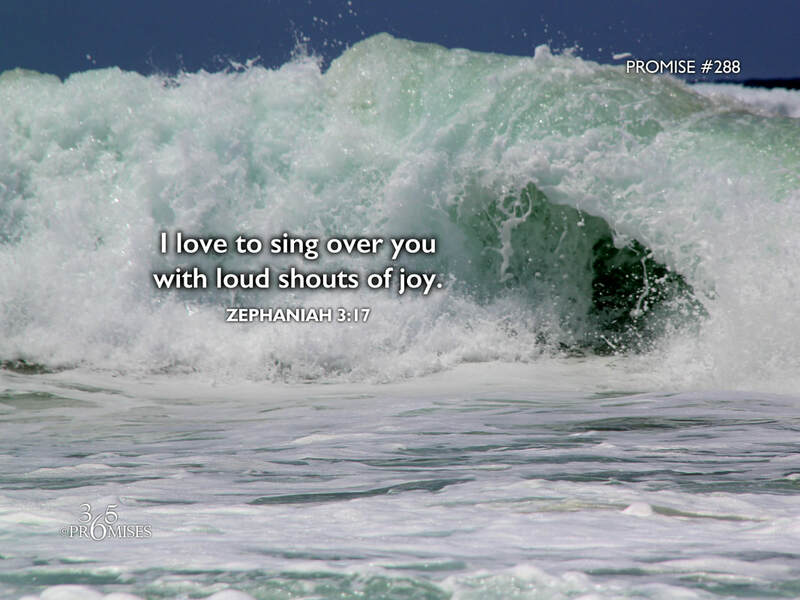 God loves you with all His heart and He rejoices over you with loud shouts of joy!